For more than 30 years we’ve been building “America’s Greatest Grill” in a small town in Georgia and quietly changing the way America grills. 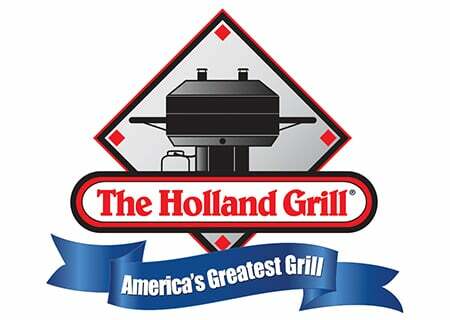 Simply put, The Holland Grill is easy to use and gives you moist, juicy, tender food each and every time you grill. All without the hassle of flareups. Tired of fighting the fire on an ordinary gas grill? Our exclusive drip pan is between the food and the flame, so food won’t catch on fire. Drippings strike the drip pan and sizzle and smoke, giving the food its distinctive Holland Grill juicy flavor. The Holland is the only grill made which offers a No Flare-Up Guarantee–in writing!